Once again the "three amigos" (Bob Callfas, Chris Bamford, and myself) are the Tour Directors for this year's Edmonton Antique Car Club "Oldies Tour". These tours are designed for roadways and mileages that are suitable for the earlier cars from Brass era through the early 1930's. 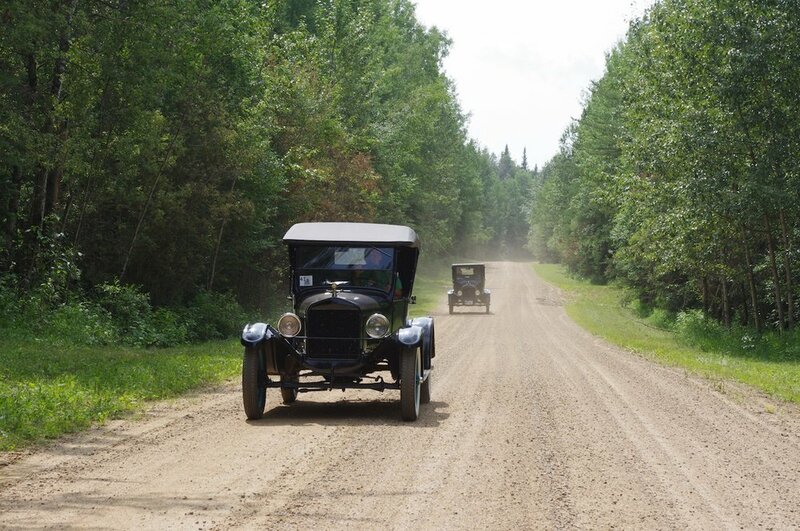 This year we have decided to invite several other clubs (Foothills Model T, Stampede Model A, Horseless Carriage Club Members, and the Central Alberta Car Club) to the tour with a long term plan to try and build this into an Alberta wide event catering to this era of vehicle. While not a pre-requisite to attending this tour we are hopeful most of our participants will be driving vehicles built prior to the mid-1930's. I have attached a brochure which outlines some of the tour events and more information including registration forms will be available shortly. The tour will start in Edmonton however those from the "South" who would like to join us may do so in Rimbey the evening of the 21st. Trailer parking (if required) will be in Innisfail where the tour will conclude or if you would like to start with us in Edmonton we can arrange trailer parking here as well. If you are planning on storing your trailer in Innisfail Rimbey is a relatively short drive from there. Please advertise this event to your membership and feel free to contact Bob, Chris, or myself if you have any questions. I will send the registration forms and further information to you as they become available.